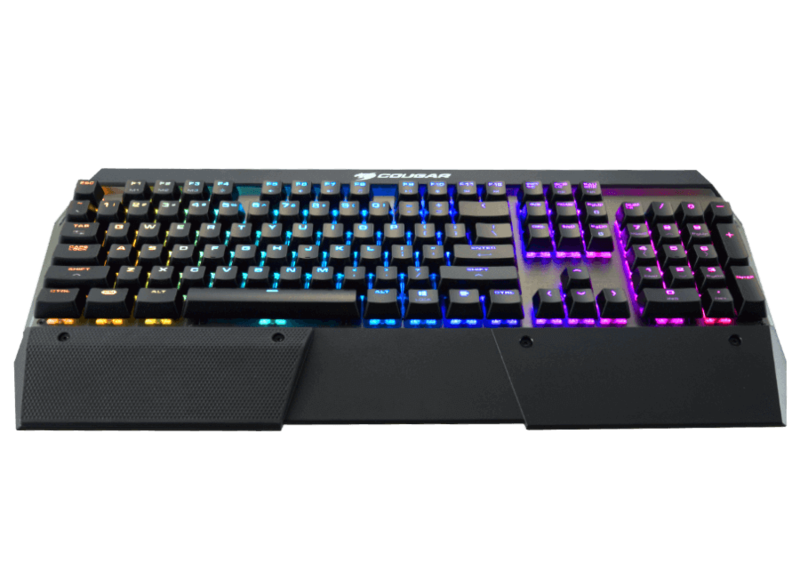 Attack X3 RGB Speedy is the keyboard for those who value fast responsiveness above anything else. 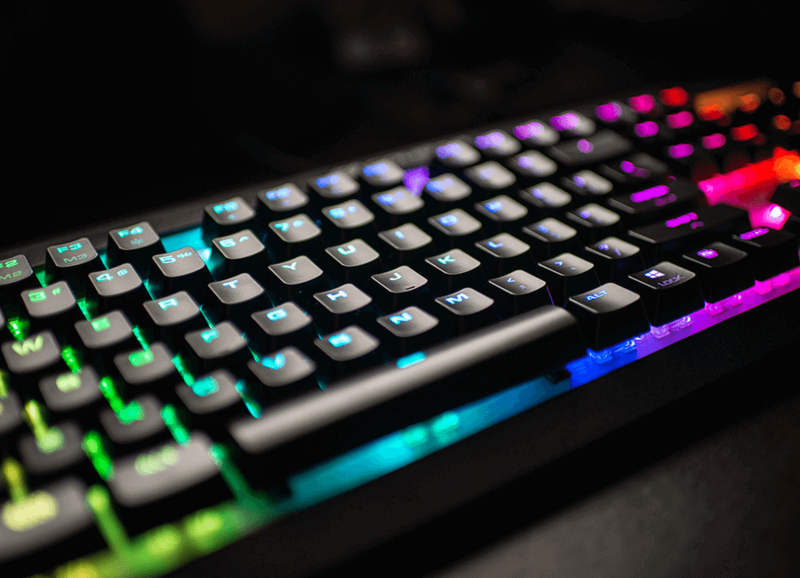 Equipped with the new Cherry MX Silver Switches, this keyboard allows you to minimize the time between your decision to press a key and the time it is activated. 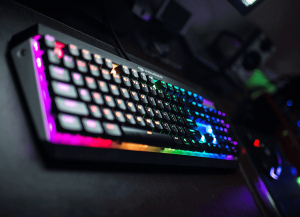 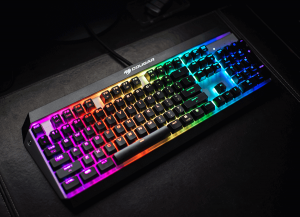 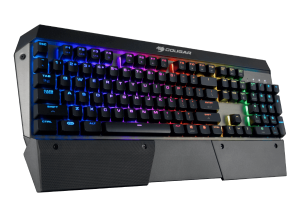 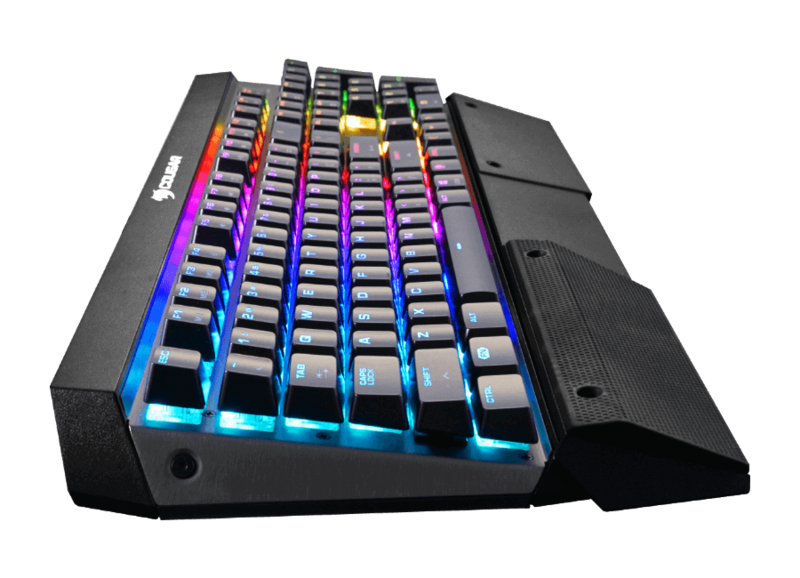 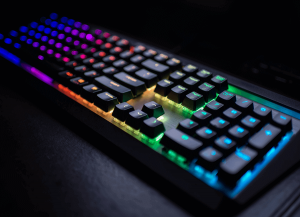 Ideal for competitive gamers, this keyboard packs all the great features of the standard Attack X3 RGB to make it one of the most powerful pieces of gaming gear ever created. 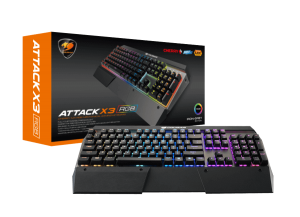 The secret of Attack X3 RGB Speedy’s incredible response lies in two key aspects of its design: The new generation Cherry MX Silver switches and its 1000 Hz polling rate with response times of 1ms. 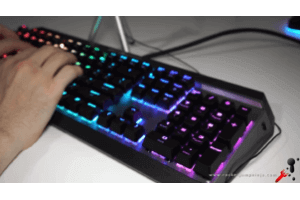 These two features work together to make sure that your instructions are sent to your computer as soon as you want it. 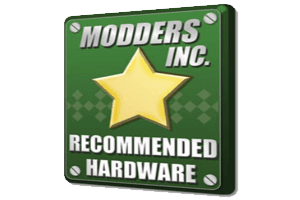 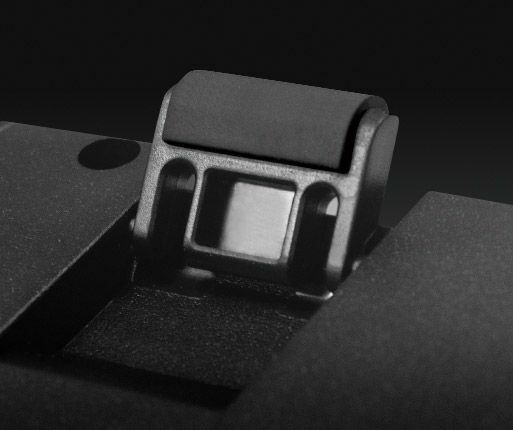 The switches’ 1.2mm actuation point, the shortest among all the existing Cherry MX switches, allows them to register your input with a total travel distance of 3.4mm. 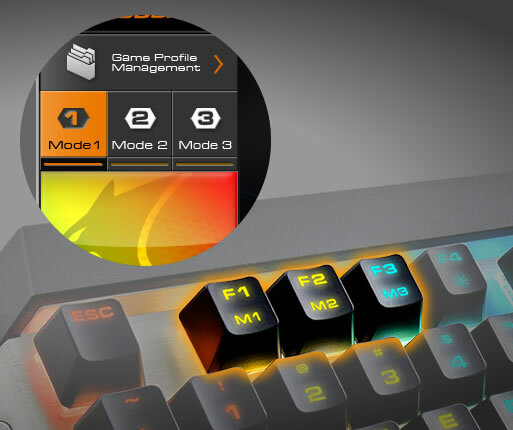 If high input speed is vital for you, this is your keyboard. 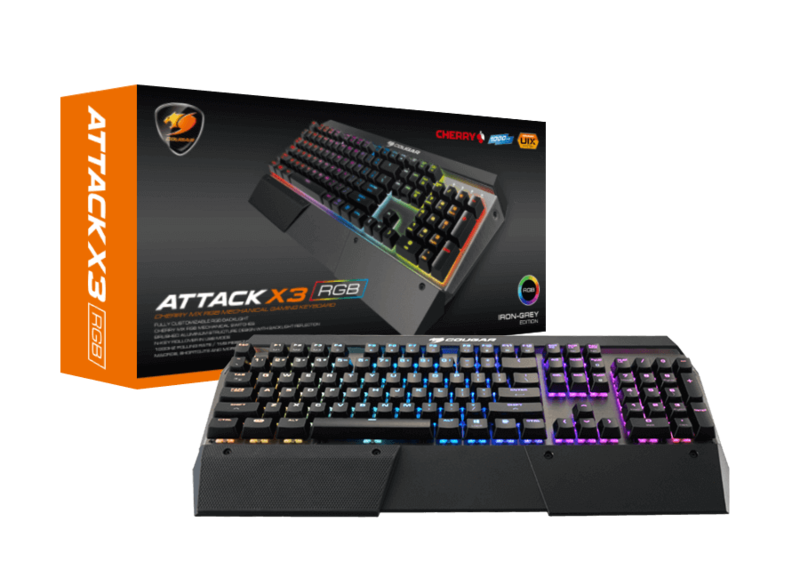 With nine powerful preset lighting effects, you will enjoy Attack X3 RGB’s spectacular backlights right upon plugging it in. 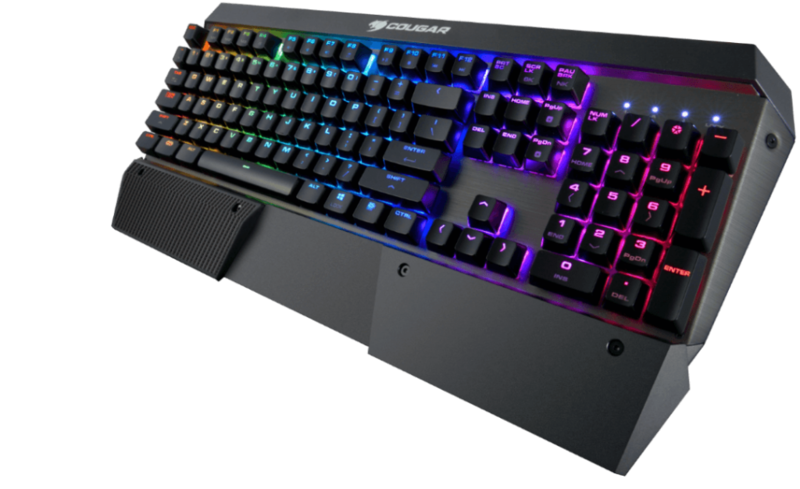 Control easily and switch easily the backlight effects on the fly with this keyboard’s convenient shortcut keys. In case this wasn’t enough, you can create your own backlight effects through the COUGAR UIX System to create your own, unique, gaming atmosphere. 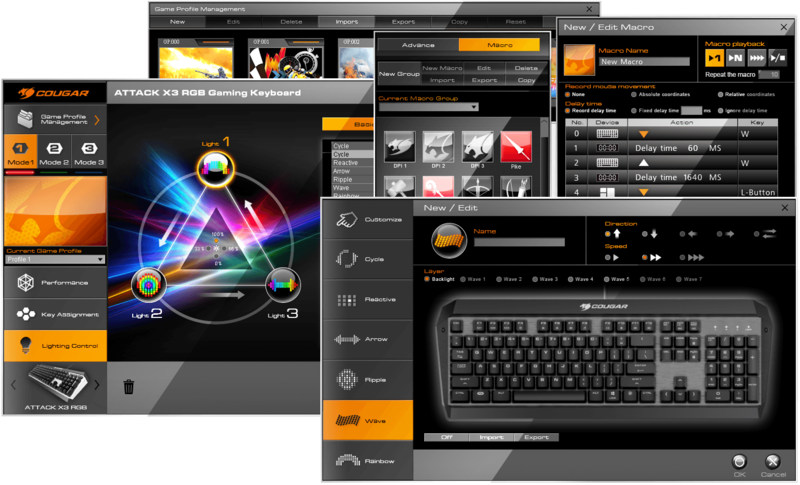 Unleash your creativity! 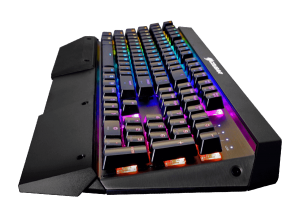 Attack X3 RGB Speedy’s aluminium front plate combines elegance and durability to create an impressive face for this powerful gaming weapon. 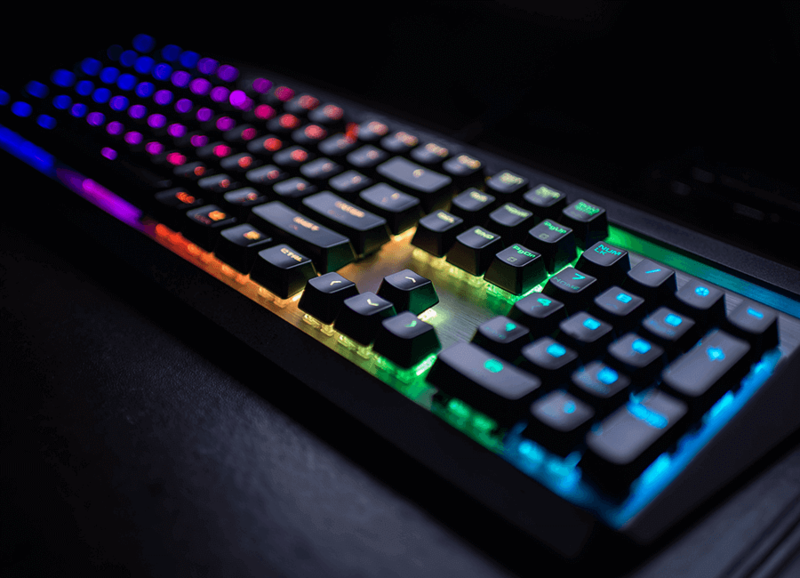 It doesn’t stop there: the RGB backlight reflects on the aluminium to create a glorious visual effect that will transform your gaming experience! 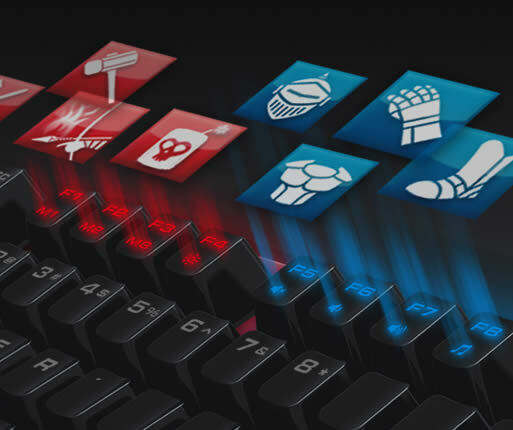 Games quite often require complex key combinations. Most keyboards on the market have limitations regarding the number of simultaneous keys you can press, with the vast majority being limited to 6 simultaneous keys or less. 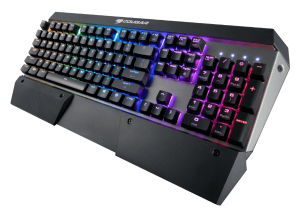 Attack X3 RGB frees you from any restriction, allowing you to press any number of keys and always obtain accurate results! 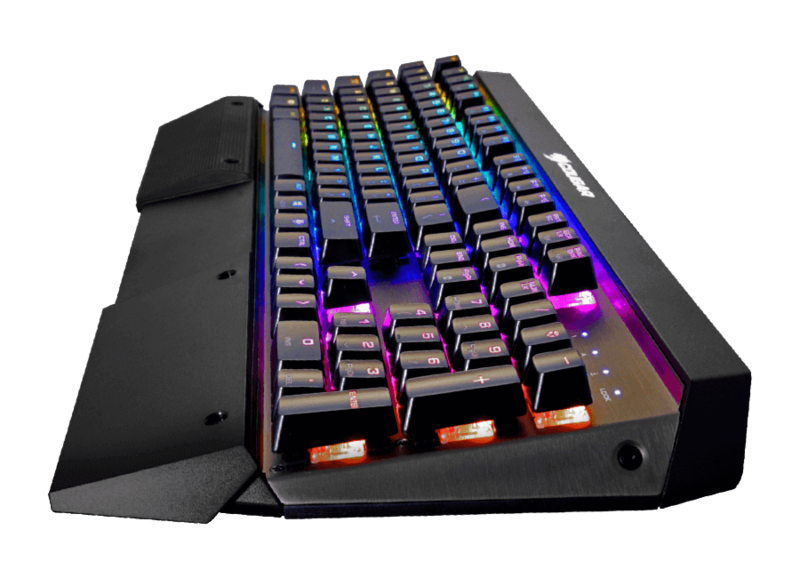 Gain comfort and improve your performance. 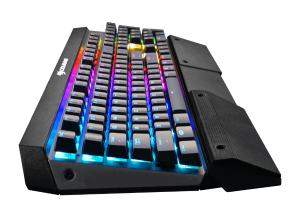 Specially designed for FPS (but useful as well for other game genres) this detachable rubber palm support provides a strong grip and just the right height to effortlessly keep your hand in place when you game, in the right position to access the WASD, jump, crouch and weapon/skill keys. 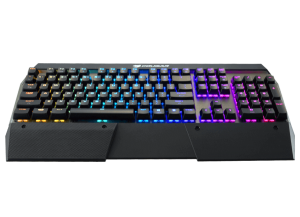 Attack X3 RGB’s on-board memory will allow you to record up to 30 macros and bring them anywhere you go! 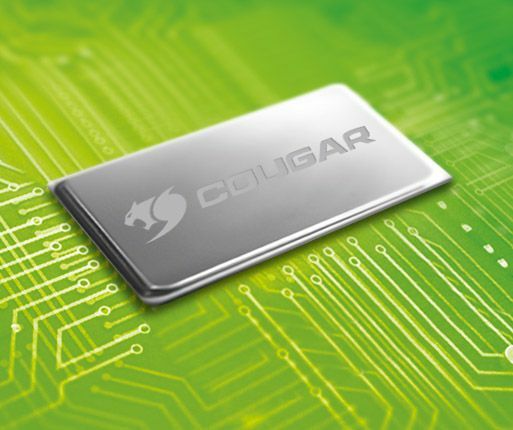 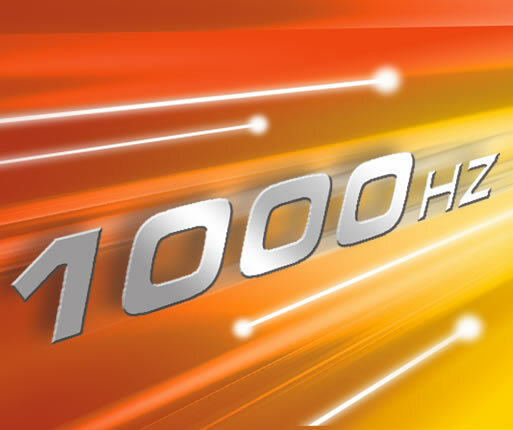 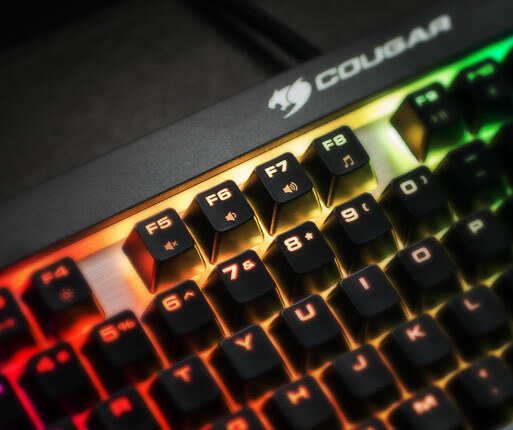 COUGAR Attack X3 RGB’s 1000 Hz polling rate brings you a 1ms response time. 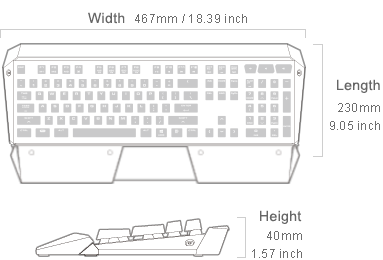 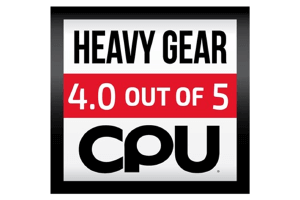 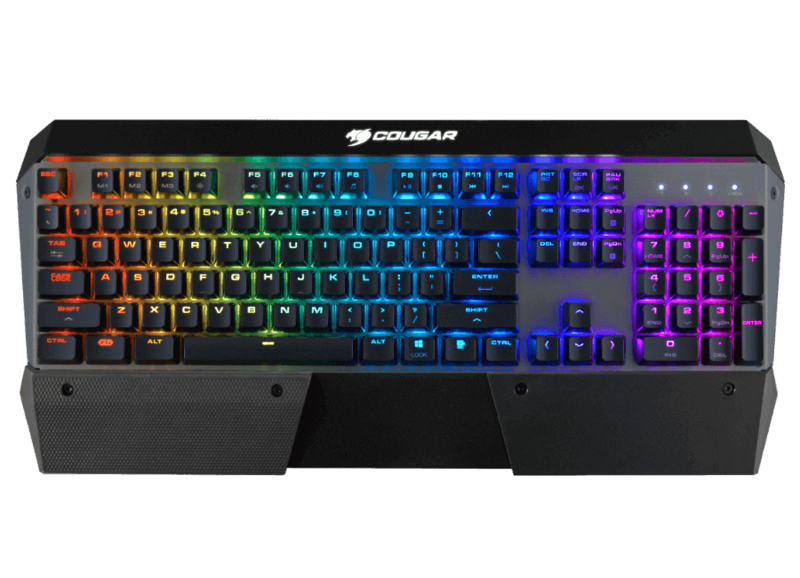 "The build quality of the Cougar Attack X3 RGB Speedy overall is e..."
"It’s a much better typing experience for me. 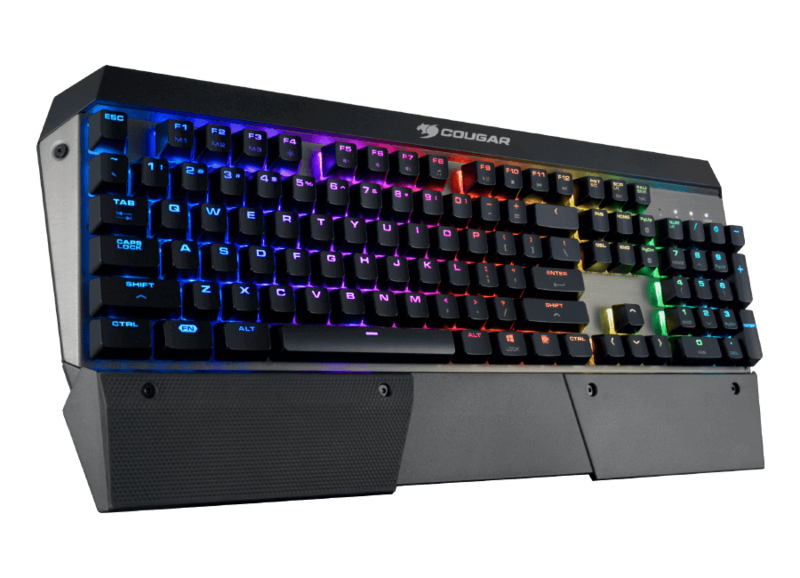 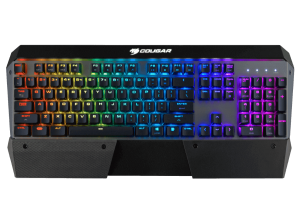 COUGAR are definit..."
"COUGAR’s new Attack X3 RGB is an awesome, approachable keyboard..."